it feels like rainy day recess here in the shed. we are now back to dull and wet. i fear i match the weather. the wonderful world of Spoonful. i wish i could recall how i did but i can't. this very fact has me realizing i need to start keeping notes to cover where my tracks have been. that way i won't lie awake at night being bothered by my lack of recall. 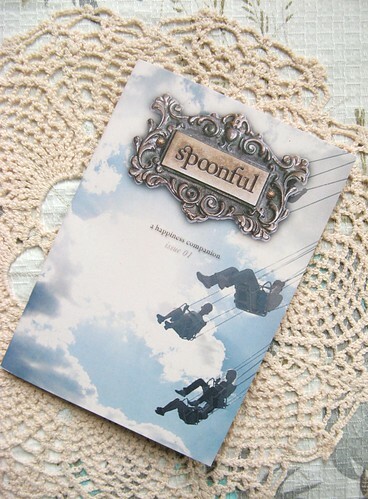 Spoonful is a zine full of happy. and our insanely busy lives. is exactly the hopes i have for my little blog. she now stumbled upon me. you can add a little bit of happy to your day for very little cost. 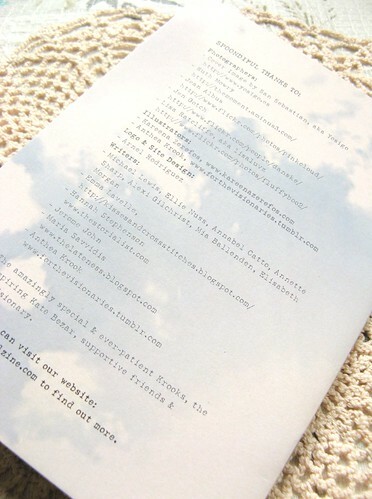 I love the idea of this zine! I just went on Etsy and bought myself a copy! Thanks for sharing! anxiously awaiting a visit to spoonful...i need a little spoonful of happiness today here at farm and fru fru...lovely post. 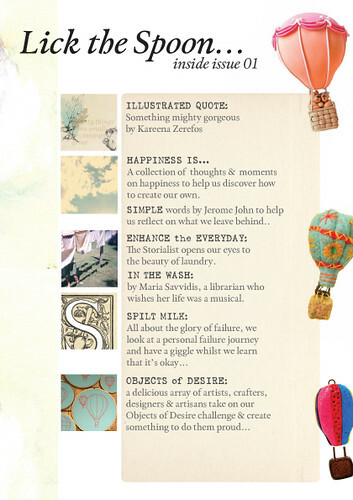 what a charming little magazine! congrats on your upcoming feature -- looks like you will fit in there quite perfectly. Well, thank you for introducing me to this! Looks very interesting indeed. Tif, I have to say that this is the most lovely and complimentary blog post! I'm completely tickled pink a lady of such talent whimsy and magic craft abilities even agreed to be part of our humble little project and am delighted you have done it the great honour of appearing in your blog house. Issue 2 is so so pretty I'm so excited!! Primarily because your section is just insanely fabulous and your personality shines through every line with grace and happiness. I was at the printers all day yesterday (quite literally) ensuring the colours came out just right. So excited to see it and can't wait to hear what you think... HUGE hug and many thanks for this lovely lovely post. 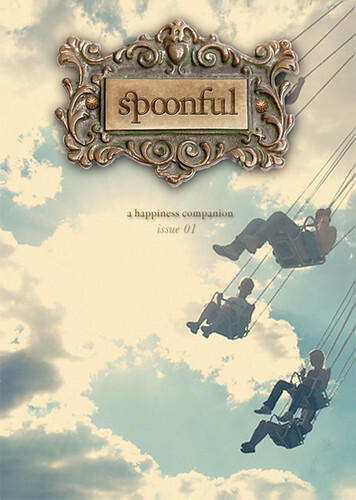 and Thea, thank you for your kind words, i cannot wait to see issue 2... i'm so happy to be part of the spoonful world! 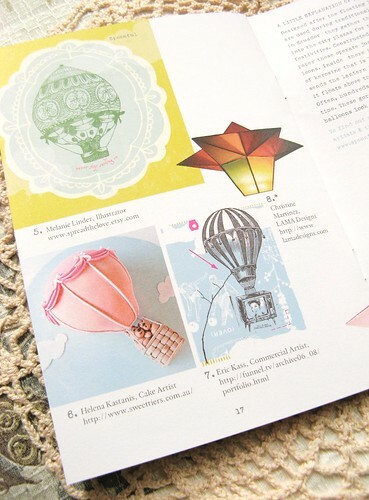 And even better is the fact that us downunder can buy one from etsy...Yeah!!! I am rather lost for words!!! What a delightful spot you have here my dear! I heard about from you Sharon of Farm and Fru Fru! Thank you for this! I have of course bought my Spoonful - you recommended Cloth and I loved that too. Really looking forward to getting my copy - and of course I'll have to have issue 2 now!